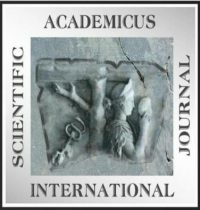 On the occasion of the 10th anniversary of publishing of Academicus ISJ, the Editorial Board opens the Call for Paper for Issue 20, June 2019, and the following competition. Deadline for submissions: May 31. 15 articles on the fields of Social Sciences and Humanities in this special issue will be eligible as nominated to the Best Paper Prize contest, which will end up with the selection of 3 Best Papers. The first prize includes travel, accommodation and participation at the Great Gala in Albania on September 5, plus the full chain of 20 Issues in hard copy of Academicus ISJ.